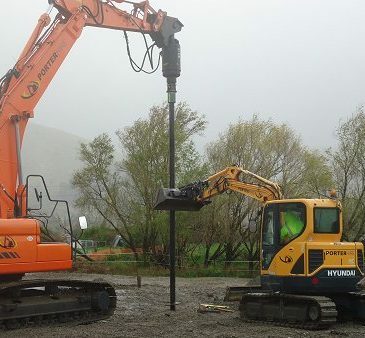 Placement of Piles has Begun! 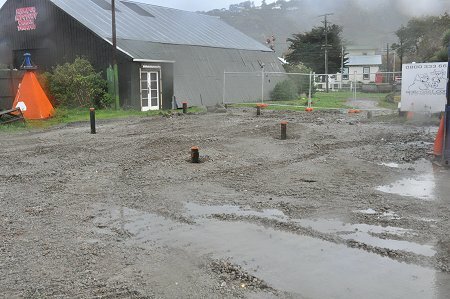 A rather exciting development has occurred recently, the Piles have begun to be driven under where the Roundhouse will be situated. Photos by John Mackenzie & Pete Soundy. 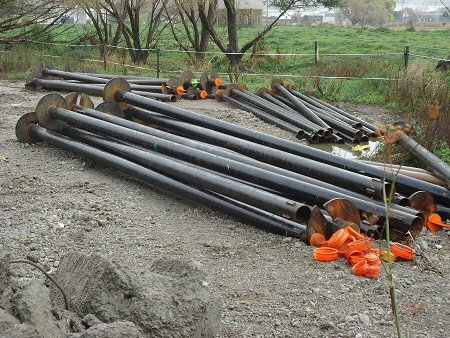 The metal screw piles ready for placing. 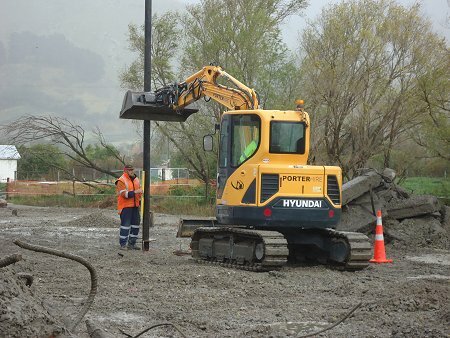 Contractor making sure piles are vertical before screwing into the ground. Held vertical, ready to be screwed into the ground. 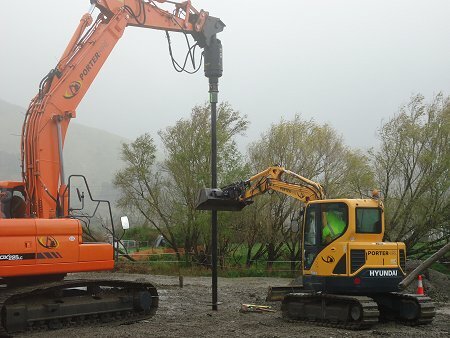 A small amount of the piles driven down to date. 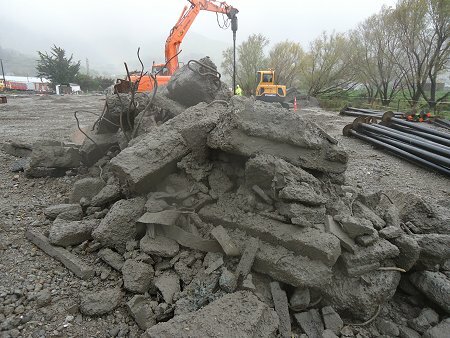 Some of the old concrete fill that had to be removed to get the piles past it. 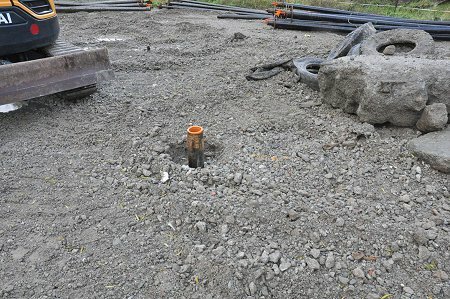 The finished job, ready for inserting reinforcement bars and filling with concrete. Become a member and assist us to achieve something great! Visit our Contact page for more information and the benefits you receive. 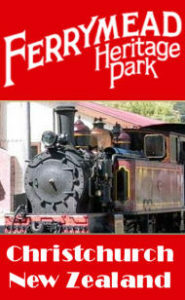 Copyright 2017 National Railway Museum of New Zealand Inc. Theme Copyright 2015 Rescue Themes. All Rights Reserved.